Age : 18 to 28 years as on 01.01.2016. Otherwise they will not eligible for Recruitment process. Selection Process : Engagement of above positions would be depended on written test, physical endurance test, physical standard test, medical examination.Written exam only. Starting date : 25th October, 2016. Last date : 20th November, 2016. How To Apply : Online application for these posts are required by department. Candidates have to apply online with true based information. Last Date of online apply is 20/11/2016. After this you cant apply. date of birth 01.09.1992 to 01.09.2001. (b) The age of OBC candidates should not be less than 15 years and more than 27 years i.e. date of birth should be within 01.09.1992 to 01.09.2001. (c) The age of SC/ST candidates should not be less than 15 years and more than 29 years i.e. date of birth should be within 01.09.1997 to 01.09.2001.
of Religious Teachers in Indian Army as Junior Commissioned Officer (JCO) for RRT 83 &amp; 84 courses. The online registration start from 10th October 2016and close on 8th November 2016. Age limit: Civilian Candidates -&gt; 27 to 34 years as on 01 October 2017 (i.e. Candidates born between 01 Oct 1983 to 30 Sep 1990 (Both dates inclusive)). Serving Combatants on Remusteration -&gt; 25 to 34 years as on 01 October 2017 (i.e. Candidates born between 01 Oct 1983 to 30 Sep 1992 (Both dates inclusive)). Pandit -&gt; Hindu candidates with Madhyama in Sanskrit or Bhushan in Hindi or equivalent standard in the regional language concerned (OR) Those who have passed BA with Sanskrit / Hindi as one of the elective (Main) subjects but have not done Madhyama in Sanskrit or Bhushan in Hindi. Granthi -&gt; Sikh Candidates with Vidwan in Punjabi or equivalent standard in the regional language concerned (OR) Those who have passed BA with Punjabi as one of the elective (main) subjects but have not done Vidwan in Punjabi. Pandit (Gorkha) for Gorkha Regiment -&gt; Hindu (Gorkha) candidates with Madhyama in Sanskrit (OR) Bhushan in Hindi or equivalent standard in the Nepali Language (OR) Those who have passed BA with Sanskrit / Hindi as one of the elective (Main) subjects but have not done Madhyama in Sanskrit or Bhushan in Hindi. Maulvi (Shia) for Ladakh Scouts -&gt; Muslim Shia ladakh personnel candidates with Maulvi Alim in Arabic, Adib Alim in Urdu or equivalent standard in the regional language concerned (OR) Those who have passed BA with Arabic/Urdu as one of the elective (Main) subject but who have not done Maulvi Alim in Arabic/ Adib Alim in Urdu. Bodh Monk -&gt; Budhist (Mahayana) candidates who have been ordained Monk/Budhist Priest, by the Appropriate Authority. The term Appropriate Authority will mean Head Priest of the Monastery where the person has been initiated into priesthood. The head priest should be in possession of Geshe (Ph.D) of Khanpa or Lopon or Rabjam with proper certificate from Monastery. 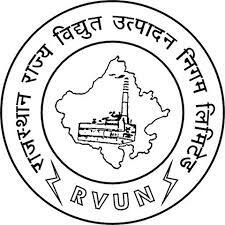 have recently announced the Notification for the recruitment of the Associate/ Guard in the vacant Positions of 15. As per this UKSTC Bank Associate Notification 2016 the competitors who are suitable will only be allowed to register through the respective application method declared by the UKSTC Bank. Qualifications required to register for this UKSTC Bank Associate jobs 2016 will be of 10th/12th class passed certificate from an authorized institution from approved institute of the state. Qualification:Job fighters must passed in the Matriculation or 10th Class from authorized board. Find the eligibility Criteria to Apply for Associate Jobs. Age Limit: Candidates age limit should be between 18 – 27 years as on closing date for receipt of application. Age relaxation is applicable to 03 years for OBC and 05 years for ST Candidates. Qualification: Candidates should possess Matriculation or equivalent with Civilian Driving License. How to Apply: Eligible candidates may send their application on plain paper in prescribed format with duly affixed a passport size colour photograph (and 01 spare), attested copies of educational qualification certificate, experience certificate, caste certificate and 02 self addressed envelopes of the size of 12 cms x 27 cms with Rs. 7.00 postage stamps affixed to the OC, 757 (I) TPT PI ASC (Civ GT), Colaba, Mumbai – 400 005 within 21 days from the date of advertisement. Age limit: Candidates age should be 18-25 years. Age relaxation is applicable according to the Govt rules. Qualification:Applicants who desire to apply should have passed 10th for Cleaner &amp; Camp Guard, 10th with HMV Driving license for Civilian Motor Driver and 12th with typing speed of 35 w/m in English and 30 w/m in Hindi on computer for LDC. And for more details click on the link given below. How to apply:candidates need to send their application in prescribed format with attested copies of all important documents and one self addressed envelope with postage stamp of Rs. 25/- in an envelope superscribing ‘APPLICATION FOR THE POST OF _____ ALONG WITH SELF &amp; FATHER’S NAME _____’ to Commanding Officer, 5011 ASC BN (MT), PIN-905011, c/o 56 APO till 04- 11-2016. Age limit:Upper age limit for the post is 28 years. How to apply:Eligible candidates can come for the Walk-in interview for the post along with the relevant documents at Naval Science &amp; Technology Laboratory, Visakhapattanam on 22 October 2016 at 9:00 AM. Qualification : Graduation in the required discipline from a recognized University. Check the official detail for the complete detail. Age : Candidates maximum age should not be more than 56 years. Otherwise they will not eligible for Recruitment process. 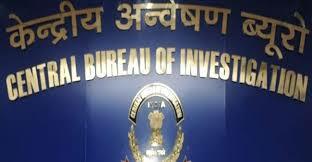 Selection Process : Engagement of above positions would be depended on Work Experience &amp; Personal Talk Conducted by CBI. Last date : 12th November, 2016. How To Apply : Interested &amp; willing Officers may send their application to "Deputy Director,Central Bureau of Investigation,Plot No-5-B, 7th Floor, CGO Complex, Lodhi Road, New Delhi-110003" on or before 12th November 2016. North Central Railway 2016_ Allahabad invites application for the post of 21 Group ‘C’ posts against the Sports Quota 2016- 17. Apply Online before 07 November 2016. Qualification:Candidates should have Intermediate or equivalent examination passed with 50 % aggregate &amp; pass in Metric (10th) or ITI or its equivalent or higher education. How to apply: Interested candidates may apply Online through the website www.ncr.indianrailways.gov.in from 08.10.2016 to 07.11.2016. How to apply:Interested candidates who fulfill all eligibility criteria are required to apply in prescribed format and send the application form along with photo copies of relevant document to the Officer in-charge, Civil Admin Section of the concern Air Force Section (as Mention in Notification) within 30 days from the date of publication of the advertisement. Age limit:The age limit of applicants who applying for Indian Air Force Fire Engine Driver and Fireman posts should be between 18 to 27 years as on closing date of application. Qualification:Fire Engine Driver : Matriculation or equivalent qualification from a recognized board/ university. And must have at least three years experience of driving heavy vehicle and be in possession of valid driving license. Fireman : Candidates must have passed Matriculation or equivalent qualification from a recognized board/ university. And must have undergone training in fire fighting under a state fire service or a recognized Institute. How to apply: Interested candidates who fulfill all eligibility criteria are required to apply in prescribed format and send the application form along with photo copies of relevant document to the concern Air Force Section (Address given below) within 30 days from the date of publication of the advertisement. Age : 20 to 25 years as on 01.01.2017 . Otherwise they will not eligible for Recruitment process. Selection Process : Engagement of above positions would be depended on Written Examination, Physical Fitness Test &amp; Interview. Qualification : 10th/12th in the required discipline from a recognized University. Check the official detail for the complete detail. Age : 21 to 27 years. Otherwise they will not eligible for Recruitment process. Selection Process : Engagement of above positions would be depended on Written Exam, Physical Test, Trade Test, Medical. Last date : 19th November, 2016. How To Apply : Interested &amp; Eligible candidates can send their application form along with all required documents to the mentioned address in the official notification on or before 19th November 2016. After this no application form will be accepted. Yonus College of Engineering &amp; Technology, Pallimukku, Vadakkevila, Kollam, Kerala. Science or Metallurgy, Agro &amp; Food processing, Bio-technology) with minimum one year experience in R&amp;D or industry. BSW/MSW degree from reputed Institute/ University. Knowledge of English and Marathi is a must. How to apply:Interested candidates may send their 1) Application, 2) Resume 3) 1 or 2 page (s) write-up about your suitability and purpose for the said post and 4) Two references from your earlier employer or any other persons by e-mail to – dhangarresearch@gmail.com or can submit the hard copies during office hours at Room No. 310, 3rd Floor, G-10 – New Academic Bldg. Naoroji (New) Campus, Tata Institute of Social Sciences, Deonar, Mumbai – 400088. Qualification: Candidates should have completed Four Years full time Graduate Degree in the respective Trade of Engineering from the recognized University or Institute, duly approved by AICTE. Please refer the official notification for post-wise detail educational qualification. Qualification : Diploma in Engineering or Post Graduate degree or Graduate or B.Sc. or B.Com. or 10th Pass (According the Post). Age : For Assistant Technician, Junior Assistant posts age limit must in between 18 years to 40 years; 18 years to 37 years for remaining posts. Selection Process : Selection process will be through written test only. It consists of multiple choice questions with 2 hours time duration. There is no negative marking. Department will conduct written exam on 16th October, 2016. 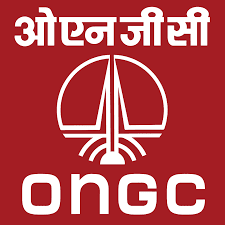 Salary : For Assistant Technician posts, Pay Scale is Rs.12000/- to Rs.27000/- per month; For Junior Assistant posts, Pay Scale is Rs.11000/- to Rs.24000/- per month; Rs.10,000/- to Rs.18,000/- per month for remaining posts. Last date : 10th October, 2016. How To Apply : Department requires online application forms. Starting date to apply online for above positions is 27th September, 2016. Last date to send online application forms is 10th October, 2016. 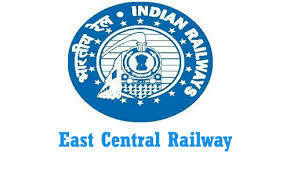 Organization Name: East Central Railway (ECR), Samastipur Workshop.